Qantas will wind back its transcontinental Airbus A330 flights from October in order to roster more of the big birds onto the busy east coast 'triangle' route and support 'international network changes'. The Melbourne-Perth flight QF773 (departing 5.05pm) and Perth-Melbourne QF802 service (departing 10.55am) will be axed from October 25, 2015. To fill out the gap in its transcon timetable, Qantas will shuffle the departure times of flights either side of QF773 and QF802. On the Melbourne-Perth leg QF777 will change from a 3pm wheels-up to 3.35pm, while QF481 will leave at 5.45pm instead of 6.50pm. For Perth-Melbourne, QF762 will be pushed back to an 8am departure and QF772 to 10.05am; QF476 will leave slightly earlier at 12.55pm, with QF768 departing at 3pm instead of 4.45pm. Two flights between Sydney and Perth will also be downgraded from an Airbus A330 to the smaller Boeing 737 as of October 25. These will be Sydney-Perth's QF569, which departs at 4.30pm; and the Perth-Sydney QF576 7.05am service. What's a loss for east-west flyers turns into a win if you're shuttling between Sydney and Brisbane, with ten weekly roundtrips boosted from Boeing 737 to the Airbus A330. On the Sydney-Brisbane leg those are QF512 (weekdays), QF500 and QF520 (Thursday and Friday), and QF536 (Thursday). For Brisbane to Sydney: QF503 (weekdays), QF529 (Thursday and Friday), QF509 and QF549 (Thursday) and QF507 (Friday). Qantas has also flagged 'international network changes' involving the A330 but is keeping its powder dry on what those changes may be. 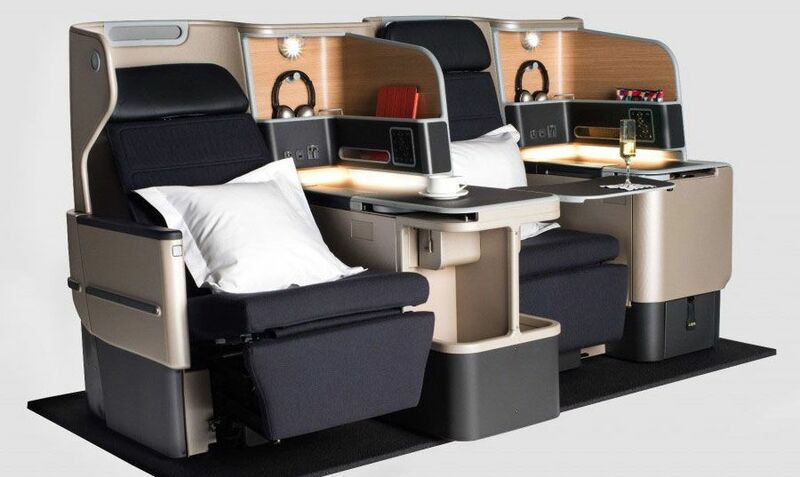 Meanwhile, Qantas' upgrade of its domestic Airbus A330-200 fleet to fit the new Business Suite business class seat (below) continues apace with five of the refurb'd birds already flying (in addition to five international A330-300s) and two more slated for September. Almost half of Qantas' east-west A330 flights now feature the reconfigured A330, including all weeknight overnight services from Perth to Sydney, Melbourne and Brisbane. The make-over of Qantas' entire A330 fleet is due for completion by the end of 2016. 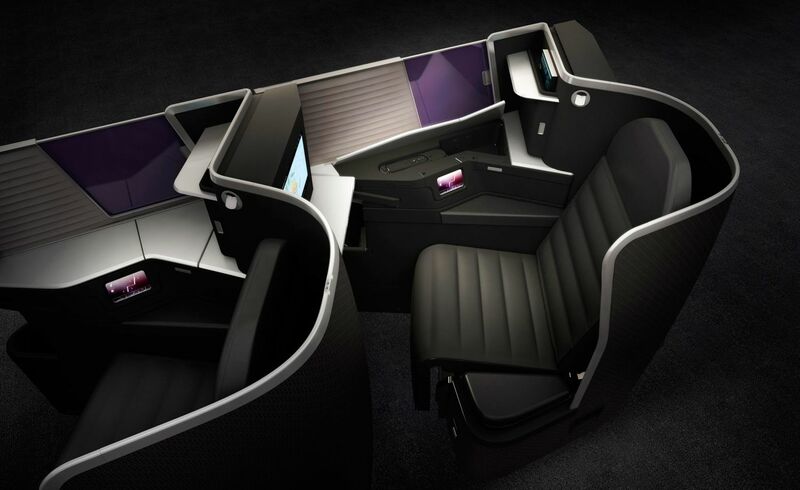 Next month's launch of Virgin Australia's competing next-generation A330 business class (below) will raise the stakes in the transcontinental turf war as both airlines fight for the lucrative east-west corporate travel market. Delays to the seat's approval by Australian aviation safety regulator CASA saw Virgin push back the debut of its new A330 business class, but the airline now expects to have all six of its A330s upgraded by the end of October. During the 12-week refit period from August to October, Virgin will also roster smaller Boeing 737 jets to replace the twin-aisle A330s on selected Sydney-Perth and Melbourne-Perth flights. What could the network changes be? would this be an extra flight to HKG or they replacing the B747 with an A330? Currently only 4 newly configured A333s are flying although one may be ready next week. i wonder what international routes qantas will introduce with the A330. i think maybe Beijing, Seoul etc. No not yet, we will see new routes come once the 787s start rolling in and more planes free up as well. Sorry, I just couldnt resist! The bit about A330s now all being configured to new overnight services isnt currently right. Booked on an A330 business next year and showing im in the old seating for a midnight horror flight. Sure it will change by then tho.. well i hope. The new seats are really nice. Sometime last month i had my SIN-MEL swap on me from new config to old at the T-6 day mark, and i promptly swapped over to SIN-BNE-MEL (the agent couldn't understand why i would detour) and i said, to try the new seats - and I have to say it's a pretty good improvement. You've got good odds given your flight is next year. While I love the fact Qantas is rationalising all its flights and amending schedules to maximise utilisation, one has to wonder when will they start ordering more aircraft and not just keep "rationalising" schedules as there must be a point when they must need more aircraft. Had been expecting this for a while, but suprised there is no mention of an east coast to DRW flight from this shuffle. Would love to see them take an SIN-Australia leg from Emirates with this re jig. Emirates could then run a SIN-AKL with a 777 instead on behalf of Qantas to tackle SQ/NZ on AKL-SIN. good news in a way, i'd much rather flying on the A330 from SYD-BNE over the 737. It's excellent news.I won't be surprised should the rail link Adelaide to Melbourne disappear for good some of the Qantas flights on that sector are upgauged to the A330 TO MAKE UP for the loss of the Overland according to something I heard about on 7 news a few months back.If this happens it will be one of the few times since the TAA A300 ERA we have had wide bodies on that flight not including Grand Final Football weekends. It's glad to see more 330s on this route. In fact this route seriously needs the capacity of 330 to fulfill the demand. I wonder why QF will send the 330's to BNE from Sydney and not add MEL to the mix. Perhaps capacity to Melbourne is at a satisfactory level relative to demand, whereas demand to Brisbane likely requires more capacity. The simplest answer is most likely the correct one here. I just read in Fairfax that Qantas intend to cancel A330 services from Melbourne to Perth and replace them with B737. Not very happy if this proves to be correct. It's like a step back to before A300'S,767's and more recently A330's with the switch back to the 737 for crossing the country.You would need the equivalent of two of the 738's to do the job of one wide body. I am quite pi...d concerning this change. I already booked a flight froom BNE to PER in J for October as a feeder to QR's PER-DOH connection (also J) and also incurred the aircraft change from A332 to B738. Previously having a seat reservation for my girlfriend and myself on adjoining seats they now rebooked us to 3C and 3F. I really hope that Qantas will be willing to rebook us on an earlier flight which is still served by the A332 ... as I do not feel at all like sitting more than 5 hours in this B738 J which is rather a Premium Economy than a real Business Class product (while I am payed for J). Fairfax seems to be only media reporting that the 6 flights downgauged to 737 are between MEL and PER. All others are reporting that they will be between SYD and PER. I suspect Fairfax got their details incorrect and that MEL-PER will only see a small frequency reduction. As for the downgauges, it is 12 flights out of ~95 weekly flights. Hardly something to be super concerned with. If anything, all these changes tell me that Qantas is indeed serious about it's 'right aircraft, right route' (or whatever buzzwords they use) strategy. I can confirm this is also valid for QF 597 (BNE-PER) as I just received a new booking confirmation which changed seat reservations. Now 3C and 3F on the B738 instead of 4A and 4B on the A332. This is now a typical occurance of Qantas loosing interest in Perth to focus on the east coast. There is so much potential for Perth yet they have a single international flight not even operating daily, and now they are trimming there east-west a330 flights to focus on the east coast which are much shorter flight time between cities, this is a real shame for the people of WA which can no longer enjoy larger more comfortable aircraft on a 5 HOUR flight to Sydney, instead they are crammed into a 737 which will result in West Australians Potentially looking elsewhere for the same flights. While those on the east coast can enjoy an A330 on a 1 and a half hour flight to Brisbane from Sydney. This is greatly dissapointing for myself being a loyal Qantas customer and frequent flyer member. But this has been the case for Perth for quite a few years now, if you compare the number of both domestic and internatonal Qantas flights from SYD, MEL ,BNE and Perth (taking into consideration the east coasts higher population) it is safe to say that Qantas now, can hardly be called 'The spirit of Australia' or 'Australias National Airline' when it focuses on the east coast not the WHOLE country. Massive, gigantic over the top reaction. Demand to Western Australia domestically is changing due, in part, to a significantly weaker WA economy compared to previous years. Please show us where and why the people of WA can 'no longer enjoy larger more comfortable aircraft on a 5 HOUR flight to Sydney'? Qantas aren't removing all A330 flights, just some flights in time slots of lower demand. I hate to say it, but your reaction is in no way commensurate with what is actually happening. I won't - and can't - argue with regards to international. I think QF can do better internationally out of Perth. As for losing interest in Perth to focus on the East Coast....the economic growth is now focused predominantly on the Eastern economies. The Western Australian economy, while still a very important state economy, is no longer the main driver of growth. The pendulum is shifting toward the East. It's the way of the world. When that happens, airlines move capacity around to suit demand. That is what Qantas is doing. They are not setting out to insult Western Australians. Western Australias Economy is the most important to the country with mining and agriculture and with out WA Australia would not be where it is and where it has been in the past . I fully understand that times are tough and WA at the moment and the state isn't as strong as it has been before. People of Western Australia can still enjoy a A330 on a 5 HOUR flight ot Sydney but with less of the larger aircraft running it will mean that those flights with the A330 will sell faster and there will be a higher demand for those particular flights. The point is that living in WA my whole life you clearly see the changes with Qantas view on WA. Less than 5 years ago Qantas was running 747's on the Perth-Sydney route and now for them to be dropping some flights to a 737 is frustrating. We'll just have to disagree on this. Western Australia is AN important economy, but it is not THE most important. To suggest otherwise is, I'm really sorry to say, hugely arrogant. We could debate for days on this and other topics....like the fact that NSW contributes more than double in GDP compared to WA, but we won't get anywhere so I'll stop engaging with this particular argument. I understand your frustrations regarding Qantas' treatment of WA. It ain't on! More could be done, certainly. But there is no need to get frustrated when Qantas (or any another airline) reduces capacity for purely economic reasons. As I said above, it's economic reality. These 'trims', as you call it, is sound airline management. As for your final comment, I agree completely. 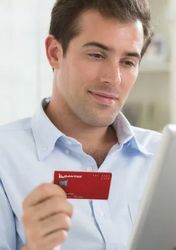 Onwards and upwards with the economy AND airline services! Look we could argue about this all day but you seem like a smart person and definently have some good arguements but at the end of the day people are allowed to say what they feel and yes I need to make it clear to you that I understand the economy isnt doing very well. But Perth is the most isolated capital city on the planet and we are so heavily reliant on air travel and with Perth airport not being the greatest (and know where near the level it should be, like SYD OR MEL), you need to understand that if a major domestic carrier reshuffles its flights and downgrades aircraft on long domestic flights for which has now come to my attention as a understandable move, off course there was going to be some back lash towards the new money saving strategie from the city most affected by it....Perth. But they're 'reshuffling flights and downgrading aircraft' because THE DEMAND ISN'T THERE TO SUSTAIN THEM ANY LONGER. It has NOTHING to do with isolation. That is something the country deals with as a whole. This isn't a money saving strategy. This is a money making strategy. Matching capacity to demand. Pure and simple. No emotions. Only pure economic logic. If Western Australians (and East Coasters - because, lets remember they're affected too!) weren't using the capacity provided to them, they hardly have to right to have a 'backlash' against Qantas. That just seems silly. Use it or lose it. You're absolutely right that people can say what they feel. As I have just done. Like I said we could go on and on, but quite clearly I was wrong in many areas, but I dont wanna drag this out and I still support my agrument of frustration but these things happen and I always assumed that the demand was still there due to Perths isolation. Even if you think WA is the most important or not, it will make no difference - QF is not going to change it and after all they are a corporation focused to return as much as possible to its investors. Maybe if one day suddenly VIC and NSW economies stalled they would shift to WA, it's all part of human nature, to follow the herd, not lead it. I agree with you there, they are not going to change it but like I mentioned, Perth is so heavily reliant on air travel that even the slightest change can upset many people. I'm sorry, I try not to stray, but I feel compelled to do this if the Australian education system isn't going to do its job. The Commonwealth Grants Commission was established precisely because a Royal Commission in the 1920s determined that WA was such a poor State that it needed to be subsidised by NSW and Vic. Thus began the principle of "horizontal fiscal equity". Between the 1930s and 1960s WA continued to be a Claimant State, namely it needed to be subsidised. For four decades after that the position for WA was basically neutral - it wasn't subsidised and it didn't subsidise. So in 114 years of Federation, WA has been a poor state for more than half, a neutral state for almost the other half, and had a temporary boom for less than 10% of the time. As a leading American economist said recently, the reason why countries like the US, Canada and Australia don't have the overt political problems of the EU, is that in a unified political system richer States/provinces heavily subsidise the poor without it being readily apparent to either side. Don't get me wrong, I am all for it. I just like some honesty in the debate. I do agree with you entirely but WA was a poor state becasue it was simply too big. there was not enough people and wealth at the time for it to be prosperous. However now it is a different story, WA has a vital importance to Australia as a whole, but what is the case for many political and economic matters WA is left out. Perth is the most over-rated over-priced city in Australia. "oh no we don't have A330s". Sit in the Qantas Club amid hundreds of hi-vis vests. Bogan central. For starters yes Perth is very much over-priced but hardly overated, their is not enough in Perth to be even 'rated' in the first place, its a city with just under 2 million and has absolutley nothing on Sydney and Melbourne. And yes their is a lot of hi-vis vest in the Qantas club but if you keep up with the news thats all about to change. Less A330's means more 737's and try sitting in a 737 for 5 hours to Sydney.. not enjoyable. I live in Perth and we are spoilt rotten by Qantas on the domestic front. Suggest you read the article again. A few flights, not all, are being downgraded from A330 to 737. No complaints from this happy customer. The good thing is you have a choice to fly another great airline in Virgin who also provide terrific service to the people of WA. Cant let that one go thru to the keeper Fonga, but as a fellow Sandgroper, I hope you enjoy all those transcon flights in a 737 coming your way. Yawn - it's become standard Qantas behaviour nowadays, they are starved of planes so they shuffle, shuffle, shuffle; invest for the future guys. 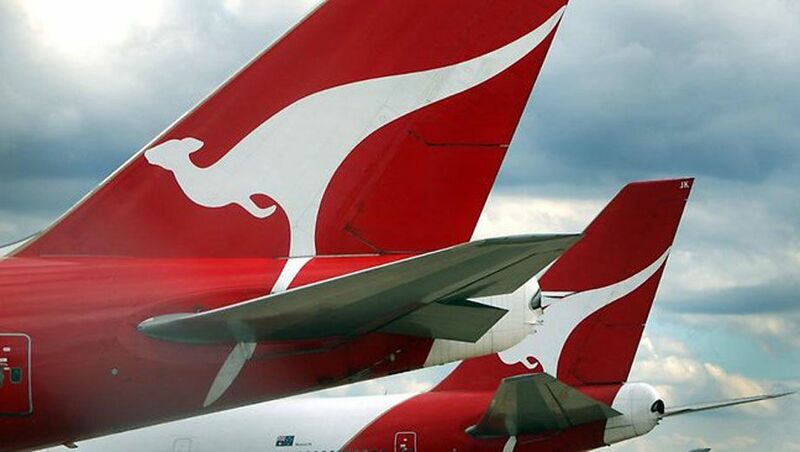 Qantas announced they still love Singapore,oops, that was so last week. A380 to Hong Kong, oops, redirected elsewhere. Spot increased capacity to various destinations for 1-2 months to increase capacity - who cares Q, we've already booked (would have helped if you announced earlier). Seems all I do domestically is mainly fly 737s nowadays, is this an advance from the 767 we all longed to be retired? I agree with you somewhat as it is clear that Qantas glory days are over, after seeing that Qantas was only ranked 10th in the world by Skytrax it made me wounder what happend to the days when Qantas was basically one of the best airlines on the planet. but many airlines not just Qantas shuffle their routes to keep up with demand in different places. Hopefully times will change agin for the better for the flying kangaroo. pfft skytrax should be taken with a grain of salt...last year EK won airline of the year, but they're only a so called 4 star airline. How can an airline with fairly mediocre service and cramped seating be granted the airline of the year award? No it's a step back.Granted those 767's were getting old by the time the A330 arrived on the scene sometime last decade but we all loved them.I have done Sydney Adelaide on Both 737 and 767's over the years and prefer the wide body. also seems that some people dont 'get' the economics of running a business.... 'supply/demand'...adjusting/changing/investing 'products' to suit certain markets in order to achieve profit. I totally agree they have no idea! Typical Qantas, most folks I know used to check out what West - East flights had 737's to avoid them. I guess we'll have to start all over again. They make it so easy for Virgin sometimes. Obviously, whoever makes these poor decisions for Qantas has never had to sit in a 737 on the Perth - Sydney / Melbourne run. If they have they would know how uncomfortable the 737 is on a long flight. I could not imagine in sitting in something that small for such a flight.I am not from WA personally but the thought of anything smaller than a A330 OR 777 for such a distance anywhere in this world which is the equivalent of London to Moscow or Los Angeles to New York or Vancouver to Toronto to name a few is rather unsettling.I spare a thought for those of you who remember the old Australian Airlines TN1 every day in the eighties that used to route via Adelaide between Perth and Sydney on the B727. It's funny you bring up LAX to JFK which is flown by AA on their A321s for 5hr30m but have 30 lie flat seats and a tiny eco cabin at the back, so not so bad and A320 family have wider seats. Great! Earlier to work and later home! Comment on "Qantas trims east-west A330 flights"